Multi-packs have proven to provide some odd pieces from time to time. Odd pieces that often result in shorter runs which have lower production numbers. Most multi-pack exclusives aren’t even stated as so and often result in a new paint scheme or having a different set of wheels. 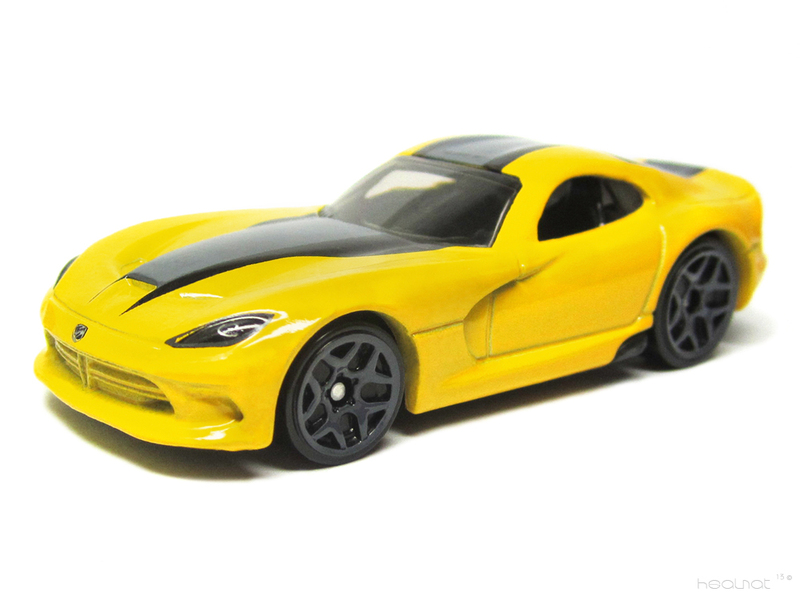 This Dodge Viper is one that showed up unannounced through various 3-packs in early 2015. Its a repaint of the 2014 mainline version in the HW Workshop – Garage Series which came in both BLUE and YELLOW that year. 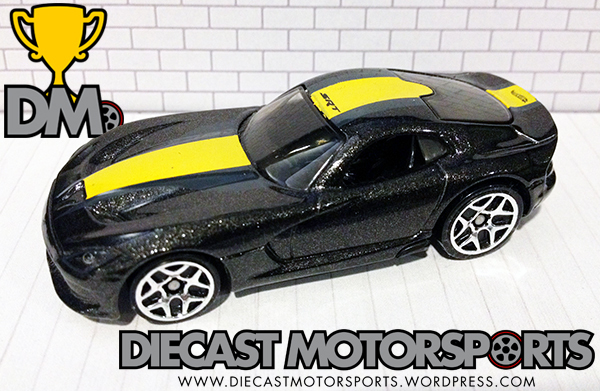 RELEASE DETAILS: Metalflake Black Body (metal). Tinted Windows. Black Interior. Chrome 5Y Wheels. Black Base (plastic). Made in Malaysia. Released in 2015 as a Multi-Pack Exclusive.